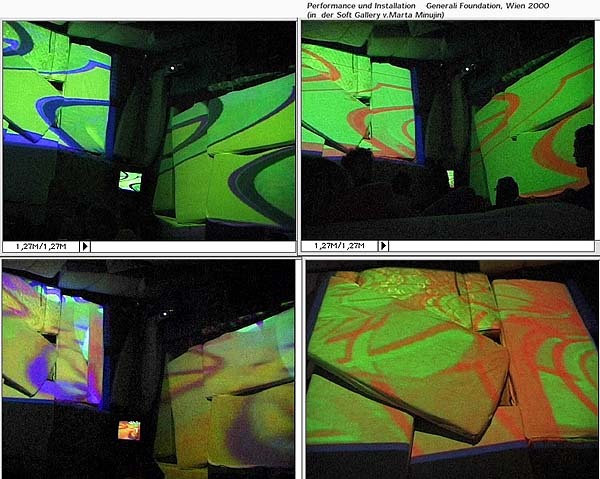 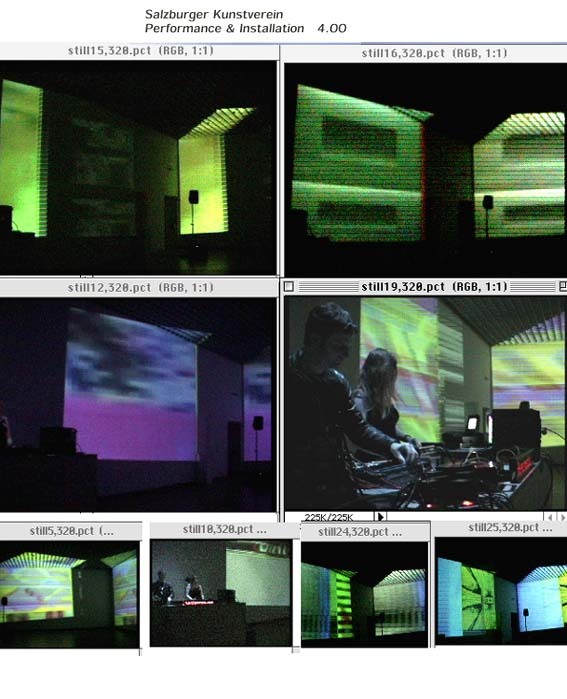 Digital sounds & visuals are triggered by sequencers. 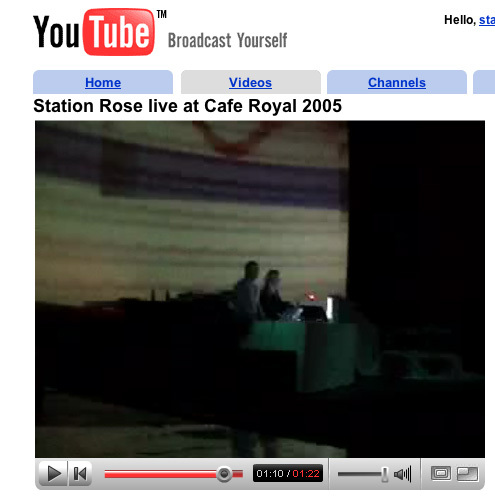 Station Rose improvise live over basic loops, with sound- and visualsworkstations synced by MIDI. 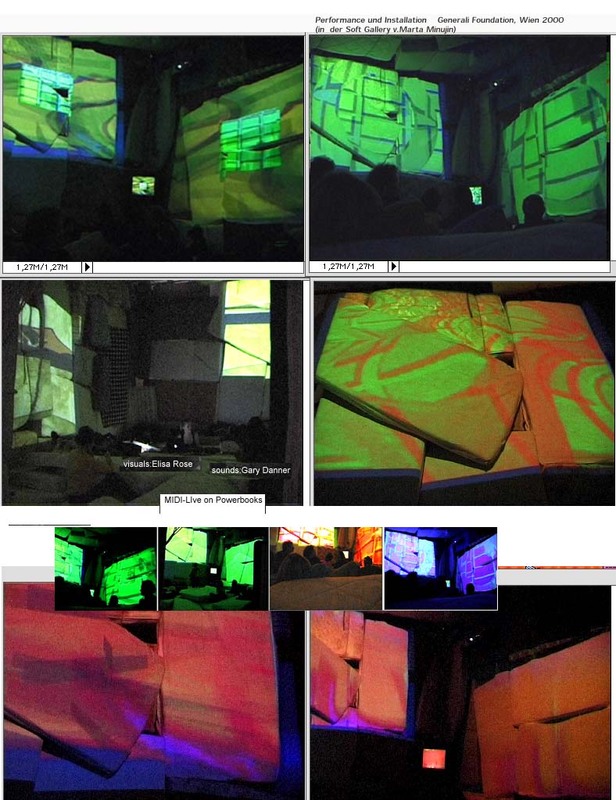 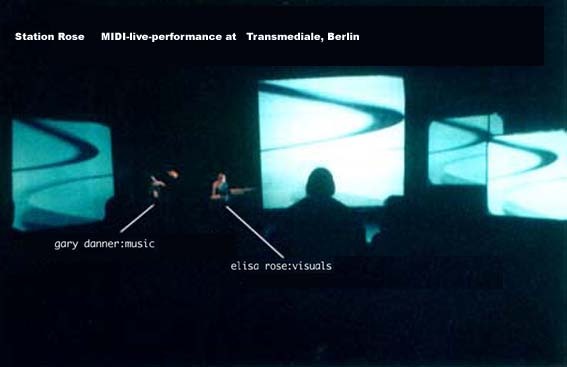 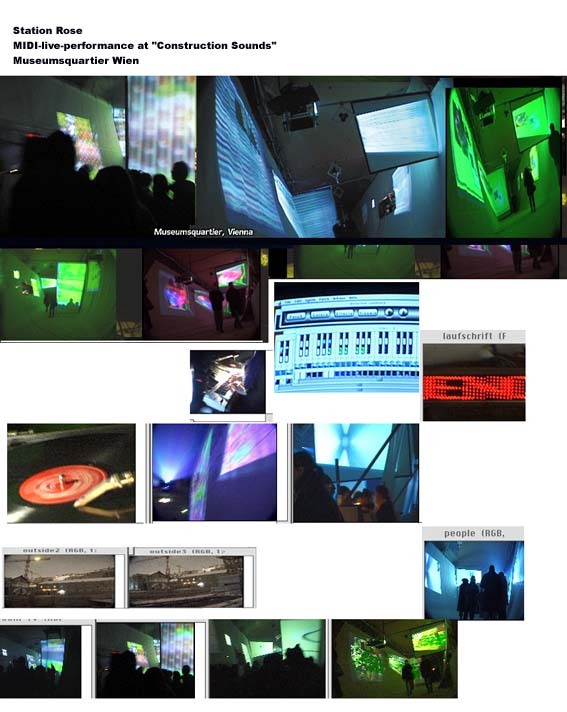 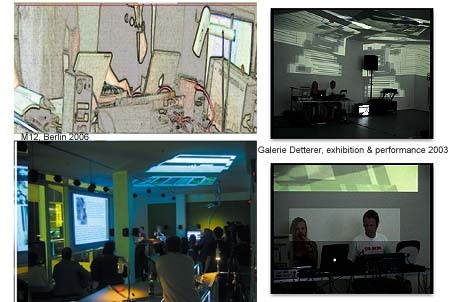 Since 1990, we have performed at Ars Electronica, Cyberthon and Joypad in San Francisco, Museum of Applied Arts and the Museumsquartier in Vienna, Transmediale in Berlin, Le Batofar in Paris and at Viper in Basel, as well as in most major technoclubs in Germany.